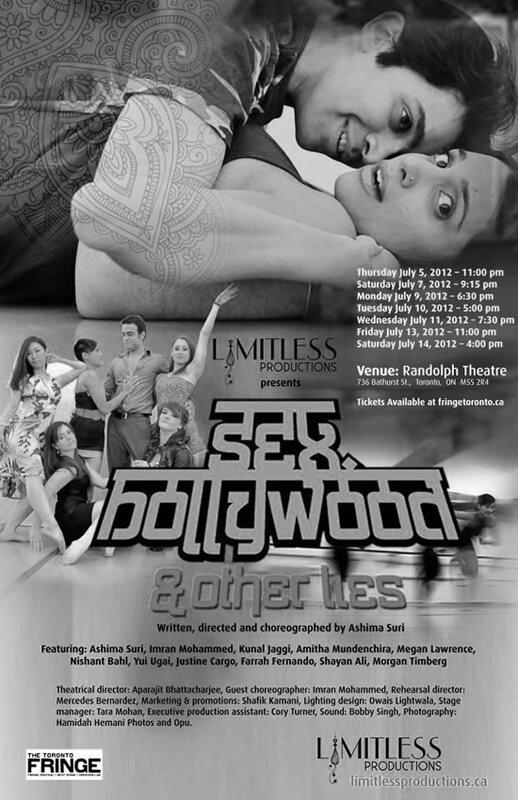 Limitless Productions Celebrates 10 Years! 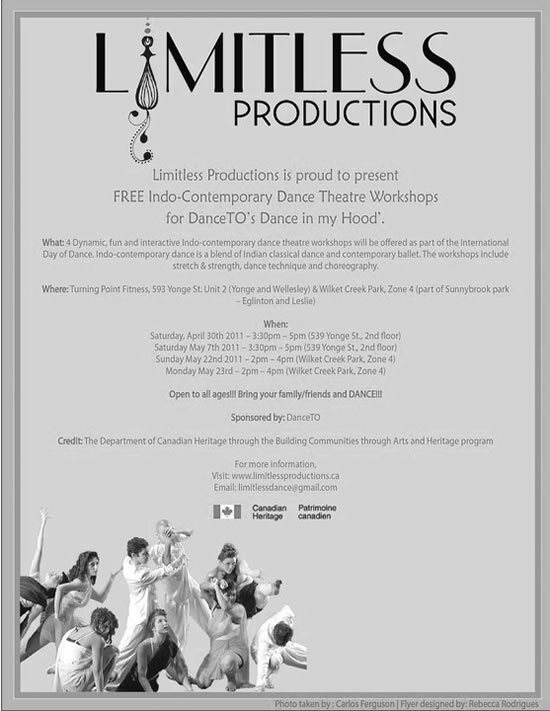 Limitless Productions celebrates 10 years of dance, theatre, community building and story-telling! We are very grateful to our funders, our sponsors, partners and friends. Thank you so much for your support! We are also grateful for all the amazing artists, staff, ambassadors and community members who made Limitless what it is today. It has been our belief to only spread the love and joy of dance, but to also empower others through affirmations and love! We have received so much love back and we are honoured to get to do what we love every day!! A special thank you to all our mentors and teachers who have crossed our path. Also, thank you to the many volunteers who have supported us at our events or fundraisers. It has taken a whole village to make a dream come true! 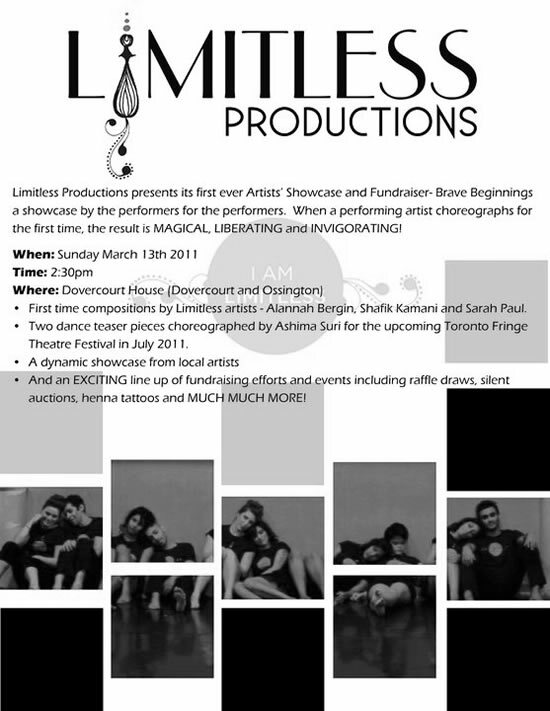 Limitless was initiated in 2007 and it’s first ever performance, called No Limitations, was in July at the Toronto City Hall. The first performance celebrated all abilities and had dancers from all walks of life. 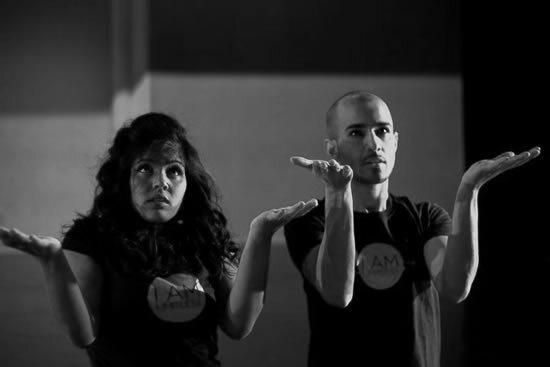 It was a community focused contemporary dance that incorporated sign language. 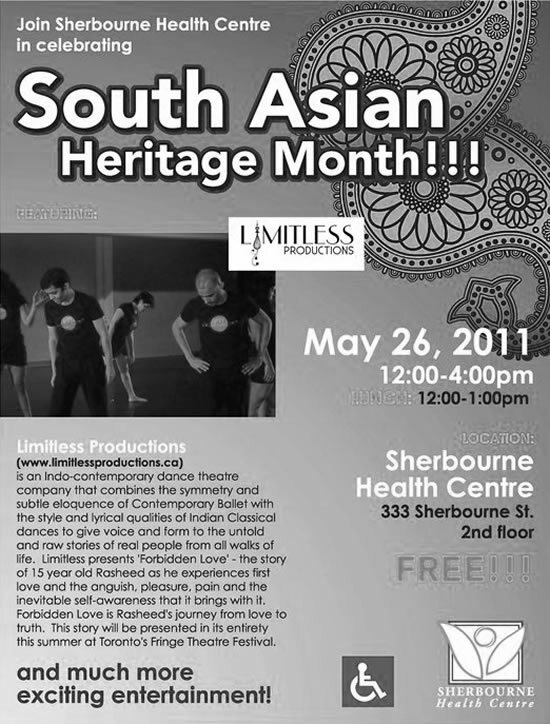 Since that date, Limitless has performed at the Fringe Festivals, Pride, hospital fundraisers, community events etc. 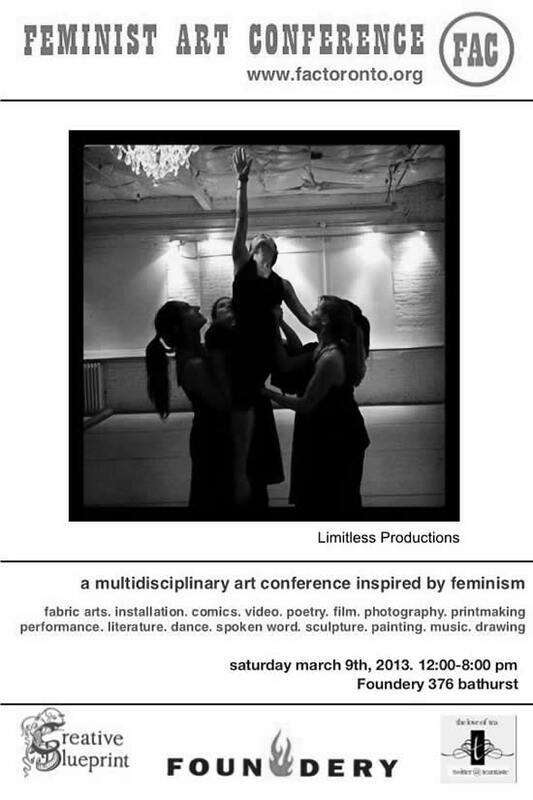 Limitless has also produced and co-produced new initiatives that support emerging dancers and choreographers. 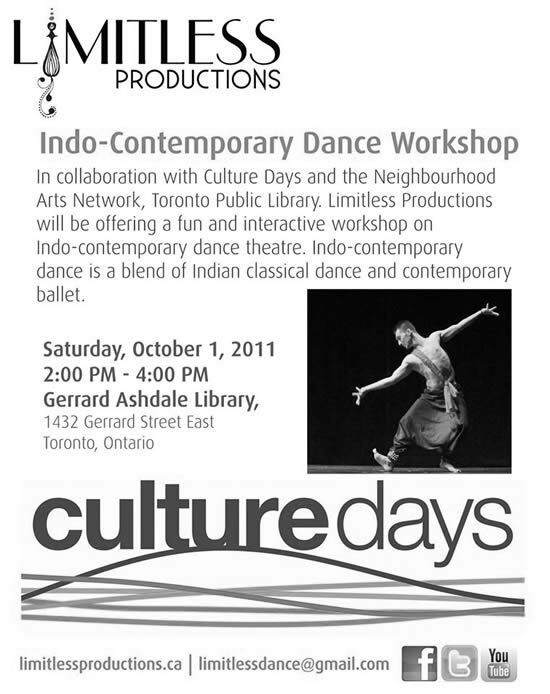 It has taught numerous workshops in the community and has been commissioned by Dusk Dances and Dance Umbrella of Ontario. 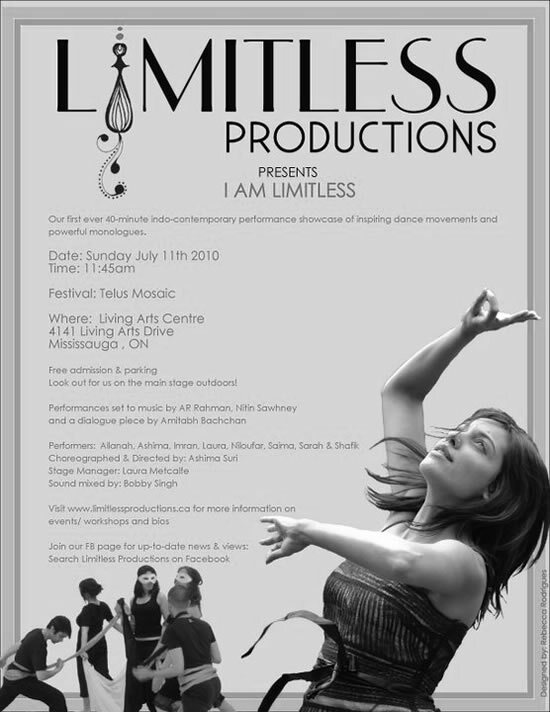 The Limitless movement has spread to various places around the world and it continues to grow in its 10th year! We love to thank you again for all your support!! Here is to 10-more amazing years ahead! !